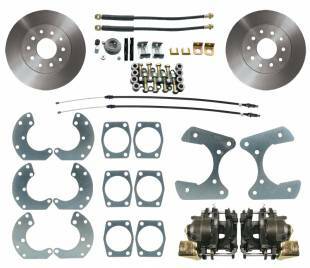 Bolt-On Universal 1979 and before Disc Brake Conversion kit for Ford passenger car small bearing 9" rear end. 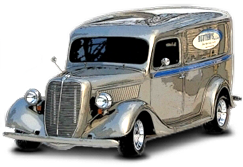 The DBK9 provides an easy to install, bolt on solution for upgrading your pre-1980 Ford passenger car small bearing 9” rear-end to disc brake performance. MBM’s kit is unique in that it provides all the brackets and flanges that fit the three most popular sizes of the 9” rear end (3-3/8” x 2”, 3-1/2” x 2-3/8”, 3-9/19” x 2” ). This eliminates all guesswork when purchasing and installing the kit. Also includes calipers, brake hoses, E-brake kit and hardware. The DBK9 comes in both standard and high performance models. 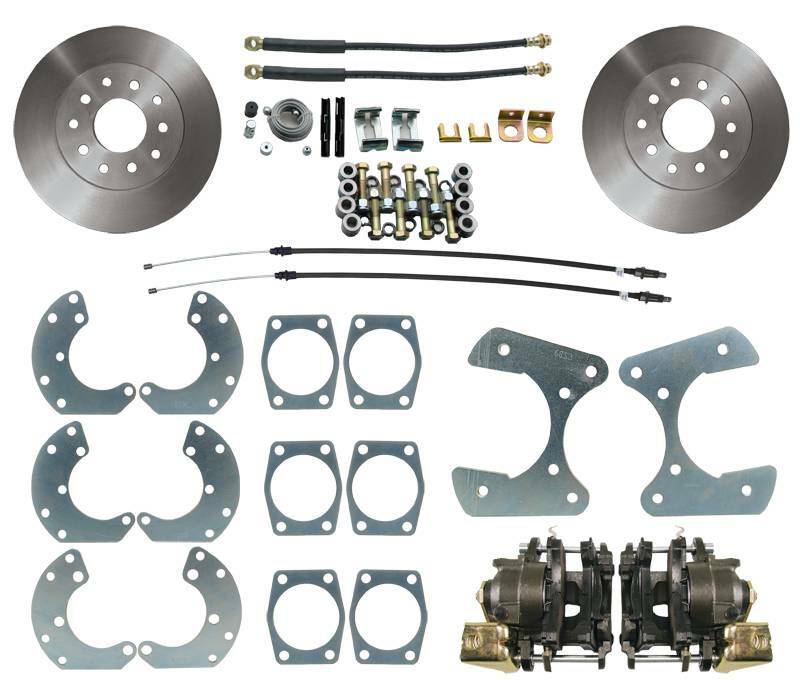 The high performance LX kits upgrade to cross-drilled and slotted rotors and stainless steel braided brake hoses.